Put out the flags and let joy be unconfined (she's been in that cupboard on the sixth floor for quite long enough). The incumbent UK telco, BT, for many years past a rust-pitted, weather-beaten beacon of the cost-cutting outsourcing of call centres as cheaply as possible to parts as far away as possible from England, home and beauty, is creating 1,000 jobs in call centres across Britain. What's more the vacancies aren't part of the discredited "gig economy" that has so demeaned and debased the UK's working landscape in recent years but proper, permanent jobs that come with proper salaries, paid holidays, pension rights and all that stuff. Back in 2003 BT outsourced its call-centre operations (which involved 50,000 jobs) to Bangladesh, India and the Phillippines. It was a recipe for disaster. BT's customer relations weren't up to much before the change but afterwards things quickly went from bad to worse and consumer complaints rocketed. BT suffered massive damage to its already battered reputation but it still took a long time, far too long, for the telco to acknowledge that subscriber concerns about miserable and ineffective customer service on the part of outsourced call centres were well-founded. However, by September 2015, (just as the venerable and influential consumer organisation "Which" published results of a survey confirming empirically that call centres outsourced overseas were the country's biggest consumer bugbear) the copper giant unbent so far as to announce that it was “listening to its customers” and promised that than 80 per cent of calls would be answered in UK call centres by 2016. BT also said said that the programme to bring call centres back to the UK would continue "in years to come". And now one of those years has come (this one, in fact) and BT is continuing to fulfil its pledge of bringing all customer call centres back in house by 2020. The telco says it's goal is "to provide the best and most personal support for customers." Yes, well, the jury's still out on that. Time will tell. One wonders how much better things might have been had they left the call centres in the UK in the first place. 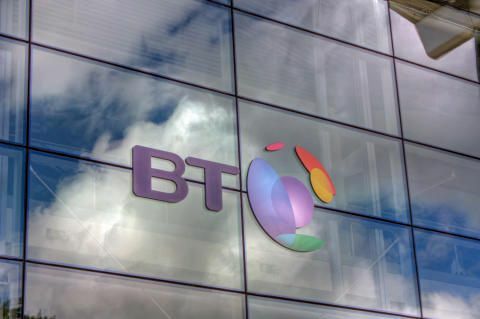 More than 1,000 permanent roles to be created in BT call centres across the UK and Ireland. BT is creating more than 1,000 permanent UK customer service jobs as part of the company’s strategy to provide the best customer service in the UK, and commitment to answer 100% of customer calls in UK & Ireland call centres by 2020. The customer advisor roles will be created across BT’s Consumer division in the UK and Ireland to fulfil its promise to provide the best and most personal support for customers. Building on the 1,100 roles created across the UK in the last year, BT Consumer will no longer use contract roles and has created these new permanent positions across a number of locations including in Blackburn, Canterbury, Dundee, Sandwell, and South Shields. All customer advisors currently on contract roles at BT Consumer’s sites across the UK will be offered these new roles. BT Consumer is committed to providing the best and most personal support for customers. That means expert help from our advisors in call centres across the UK, BT product and service advice now available in EE stores across the UK, and the most personalised and easy-to-use web, app and chat experiences through the completely redesigned BT.com.